William Arthurlie (d circa 1478) was a clergyman and one of the first three regents engaged to teach at the University in 1451. He taught at the University for more than twenty-five years and was elected Rector in 1469, holding the post for a year. He was Dean of the Faculty of Arts from 1465 to 1466 and from 1474 to 1475. Arthurlie was a graduate of the University of St Andrews (MA, 1448). He was Rector of Hutton in 1462 and became stallar of Bothwell and Vicar of Kilbirnie. By 1465 he was described as a doctor of decreets and he was probably engaged in teaching Canon Law. He may have been the brother of one of the University's early benefactors, Sir Thomas Arthurlie, who gifted a house and ground facing High Street to William in 1467. The property was probably held in trust by William; it was transferred to the Faculty of Arts after his death in the late 1470s. 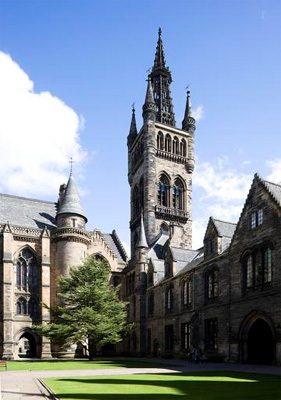 In 1477 Arthurlie went with the Rector, Thomas Montgomery, the Dean of Faculties David Gray and John Brown, to defend the right of the Faculty of Arts to the income from the chapel of St Thomas the Martyr. By 1478, near the time of his death, he had ceased to be a regent but was an examiner for the degree of MA.